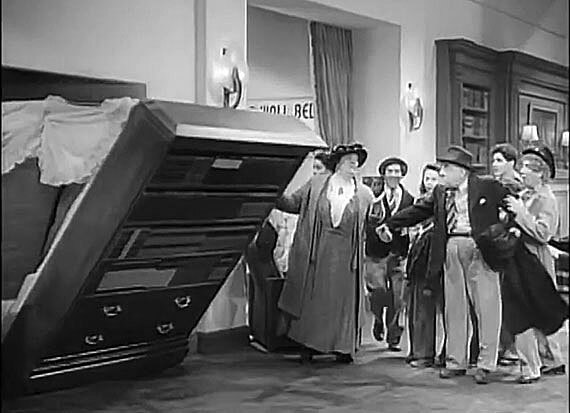 is a bed that is hinged at one end to store vertically against the wall, or inside of a closet or cabinet. 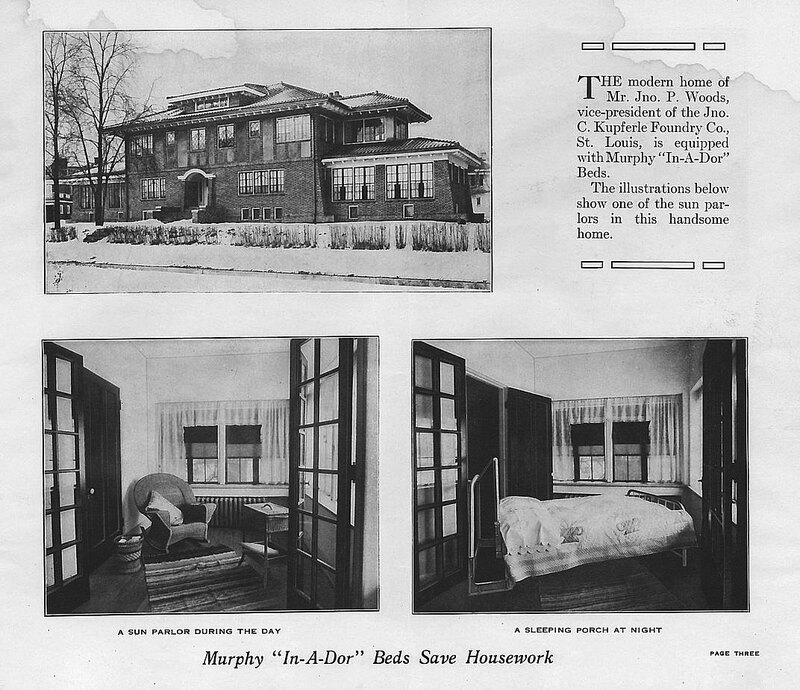 The bed is named for William Lawrence Murphy (1876–1959), who applied for his first patents around 1900. 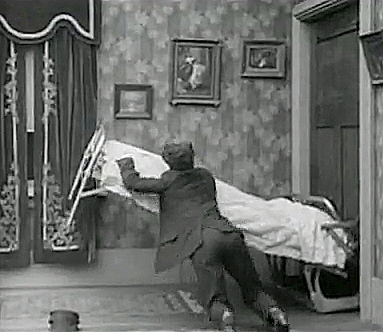 According to legend, he was wooing an opera singer, but living in a one-room apartment in San Francisco, and the moral code of the time frowned upon a woman entering a man's bedroom. 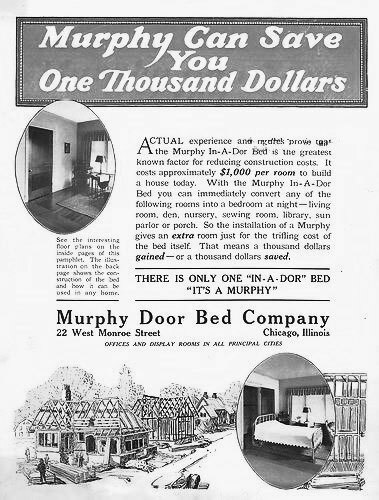 Murphy's invention converted his bedroom into a parlor, enabling him to entertain in one living space! 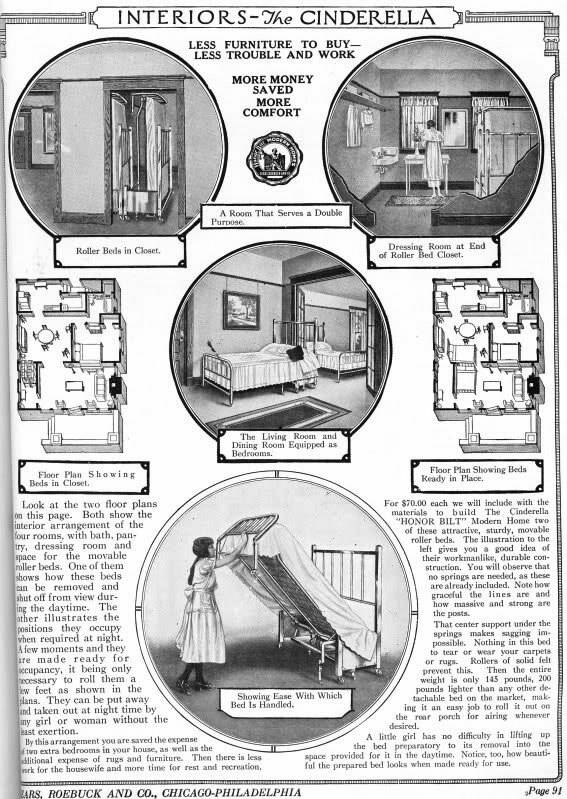 Earlier fold-up beds had existed, and were even available through the Sears, Roebuck & Co. catalog, but Murphy introduced pivot and counterbalanced designs for which he received a series of patents, including one for a "Disappearing Bed" on June 18, 1912 and another for a "Design for a Bed" on June 27, 1916. 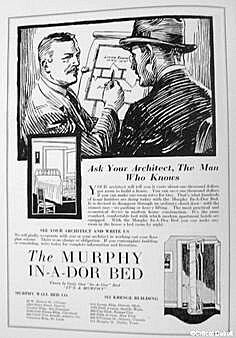 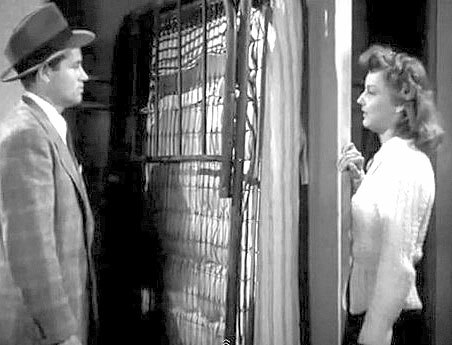 In 1989, the United States Court of Appeals for the Second Circuit ruled that the term "Murphy Bed" had entered common usage so thoroughly that it was no longer eligible for trademark protection. 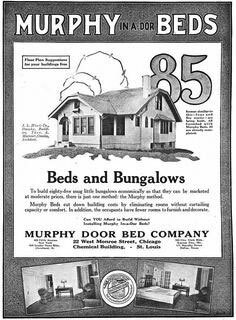 Most Murphy beds do not have box springs. 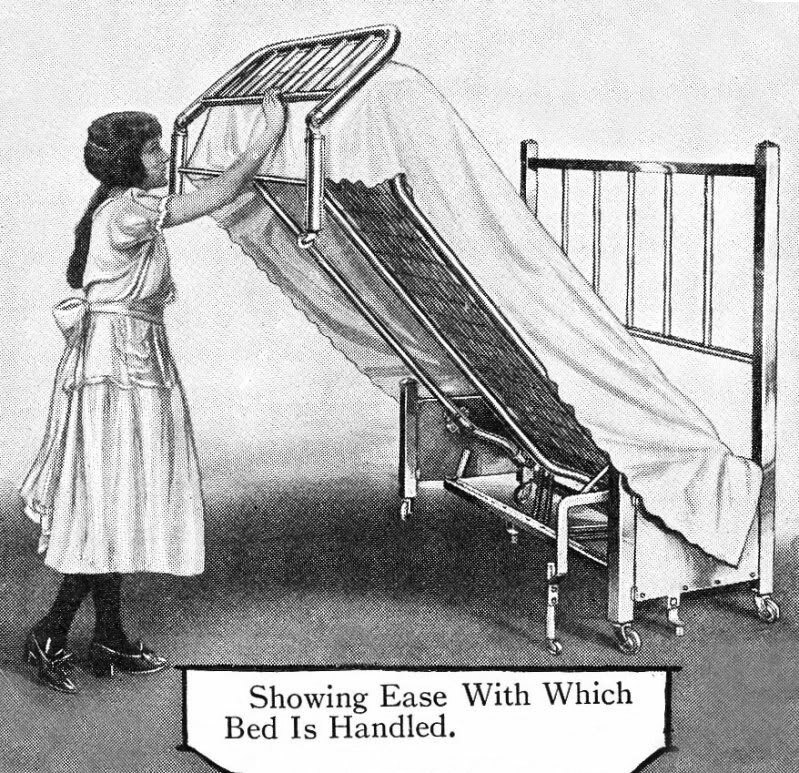 Instead, the mattress usually lies on a platform or mesh and is held in place so as not to sag when in a closed position. 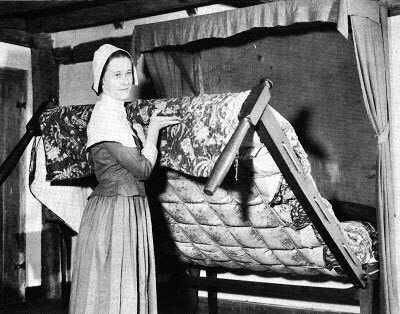 The mattress is attached to the bed frame, often with elastic straps to hold the mattress in position when the unit is folded upright. 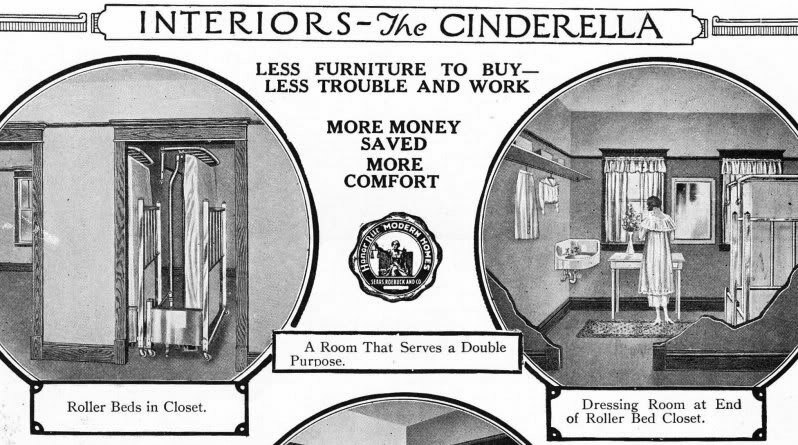 Since the first model several other variations and designs have been created, including: sideways-mounted Murphy beds, Murphy bunk beds, and solutions that include other functions. 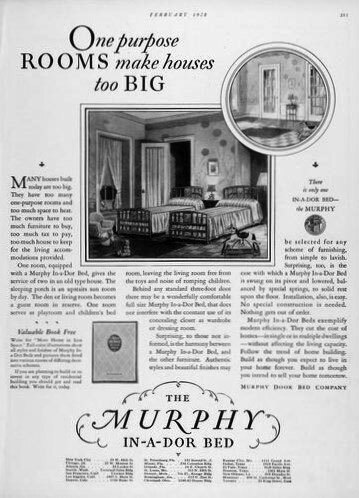 Murphy beds with tables or desks that fold down when the bed is folded up are popular, and there are also models with sofas, TVs, cabinets, and shelving add-ons.